Summer is that place in our hearts where we are absolutely happy, free and so at peace with ourselves and everyone around us. It is that magical time when for a moment, we feel like a little child all over again. So, today, let me take you to that special place in my heart and join me in Summer paradise where you can be a kid all over again. I promise it’ll be a Summer you will never forget. First, let me take to your very own sanctuary that will sure bring a huge smile to your day. Go ahead, unpack, unwind, relax, leave all your worries and baggage behind. You are in Summer paradise, remember? It’s a problem free, drama free zone. Do you like the ocean view from your balcony? Ready for a swim? 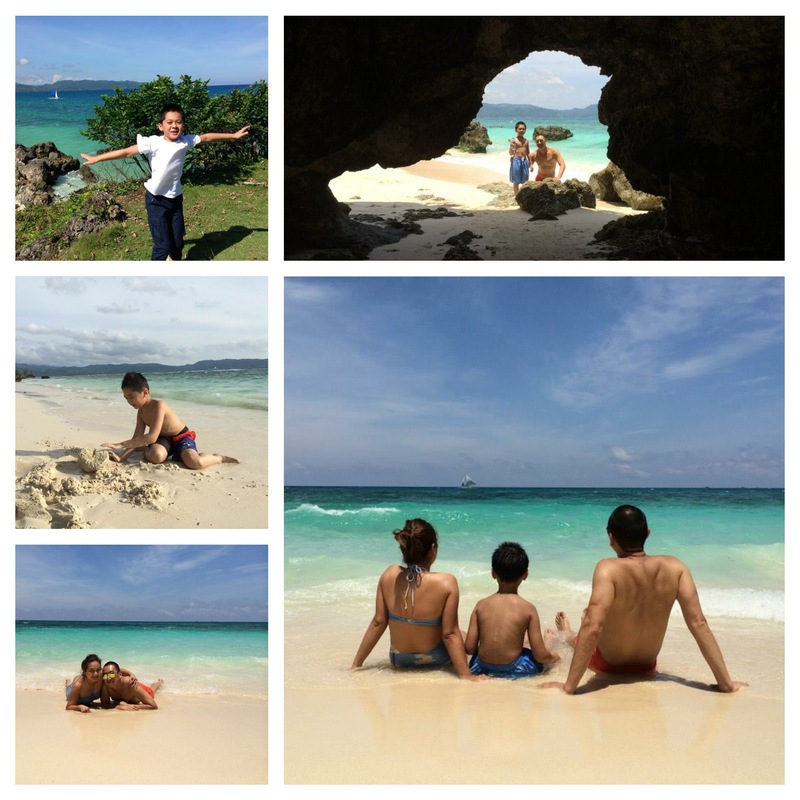 How does Boracay Island crystal clear warm blue waters sound? Fun? Invigorating? Yes, it’s everything you’ve ever dream in a Summer paradise and more. Dive right in, indulge, laugh, let go… Amazing doesn’t begin to describe the sugar-like powdery white sands that feels so nice and soothing to one’s tired feet. Every step one ache gone. Every step one worry forgotten. Imagine what miles and miles of sand will take away. Island hopping, snorkeling, play time by the beach or simply just spend hours by the infinity pool surrounded by palm trees as you gaze upon the ocean below. Here in Summer paradise anything is possible. Who wants young coconut juice delivered to their boat? Perfect Summer hydration drink! Are you in for a bit of a thrill? How about jet ski on open deep waters? I silently screamed as I reached the farthest part of the safe limits. The waves high and rough, bouncing us forcefully, my son’s excited screams of “This is so much fun,” drowning my fears. Then just when I thought we’re halfway through and can finally take a deep breath of relief, the engine stopped. Here in Summer paradise, you are awaken by a blissful sunrise, healing you, hearing you. Every heartbeat heard. Every prayer answered. Heaven feels so close, calming every life’s turbulent storms. Every morning, I wake up excitedly to watch the sunrise by the beach front of Asya Boracay, one of the very few resorts that kept the spirit of being in a secluded island. As the Sun slowly ascends, I could feel God’s presence…then his voice. Never been so at home, at peace. Many years ago when life was simpler, humbler I used to walk in this same beach for a year. Miss those walks…so are the times I felt so close with my Creator. Looking back now, he blessed me with enough memories of Summer paradise to prepare me to the harsh realities of the outside world. Every journey has its reasons and purpose. So, thankful he brought me there, even if it was only brief and temporary. Whether for love, romance, serenity, solitude, soul-searching for purpose and meaning, Summer paradise has all kinds of Sunsets for everyone. Here, there’s one just for you. 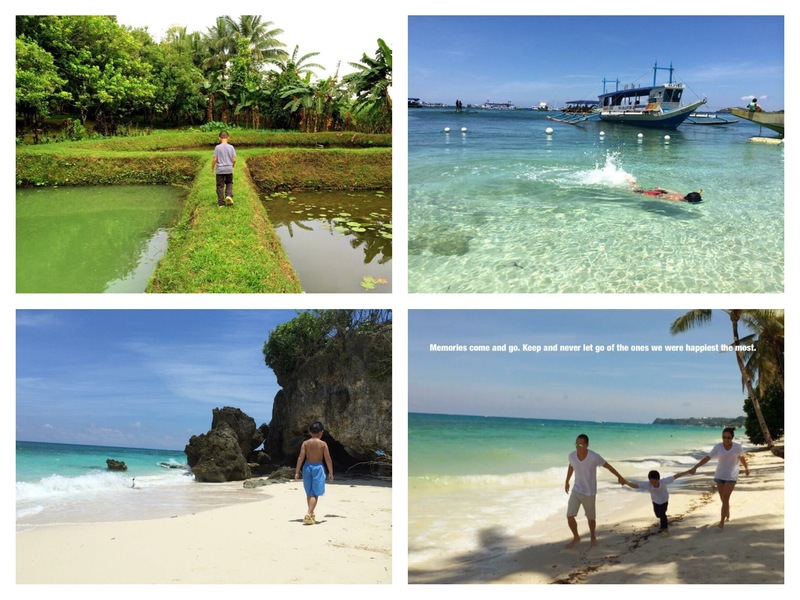 If you enjoyed the beach, you’re gonna love the natural wonders of Tibiao. Old giant trees, exotic wild flowers and animals, cascading waterfalls, rolling rivers. Here, excitement takes your breath away as much as nature’s beauty and pureness. Mountain to mountain zip line, a walk along the hanging bridge, herbal warm spa inside a giant “Kawa,” river kayaking, just some of the many adventures that awaits for you. Just don’t fall asleep when inside the “Kawa,” as water can turn from warm to boiling. “Dinner’s ready!” LOL. Summer paradise is never paradise without tropical fruits. How about Durian, Mangoes and Lanzones straight from the trees. All you can eat fiesta. My son ate 4 pounds of sweet, ripe Durian. I ate 8 pounds. Never thought I could eat that much but it was so good that I didn’t realize I finish 4 whole Durian fruits. Here, try a piece. I bet you can easily finish a pound or two. After the fruits comes the main meal…charcoal grilled Bacolod Chicken Inasal. Every bite is a taste bud delight. Add garlic rice…”Ooh La La!” How about a visit to my mom’s place in Capiz for her famous Chicken Tinola. My son got us wild berries for dessert. They’re so sweet, he finished half of them. No worries, there are more at the tree, ready for the picking. Been to so many beaches but there is one beach that has a door to my childhood where Summer paradise still holds its pureness and innocence. Today, I will take you there too. We’ll swim under the rain and dream to our heart’s content as we marvel its glorious sunset. Then seafood dinner with my family where you will always feel warmly welcomed. Now, let me take you to my wife’s beautiful hometown in Iloilo for Lapaz Batchoy, Taho dessert and some strong freshly brewed Kape Barako. How strong? If Red Bull gives you wings, this one makes you run like The Flash! Great for jet lag and constant travelling. Summer paradise is a place where you can be yourself. It’s a place where you feel at home, are home. It’s where people welcome you with open arms, unconditionally, without judgement as part of the family, embrace you so tight that it’s so heart breaking to say goodbye and celebrate you for being you. It’s where you feel tremendous love and joy in your heart that you get to bring with you anywhere you go. Every Summer has a story. Don’t let this time pass without creating a new one for yourself and the people you enjoy sharing those Summers with. Thank you all for joining me to my little escape…our little escape. Hope you took your very own Summer paradise with you. Till our next Summer adventure. This entry was posted in Life and tagged Beaches, Blog, faith, Family, Inspiration, Islands, Life, Philippines, Photography, summer, summer in the philippines, Summer Paradise, Travel, Vacation, Weekly Photo Challenge. Bookmark the permalink. What gorgeous water! No wonder you miss it. Happy you could go back my friend. Thanks Penny. If only I could go back every year, I would but it is very expensive to travel there during peak season. Nevertheless, I’m grateful for the times that I do get to go. Thanks. It’s nice to go back to places that means more than just a Summer getaway. Places that reminds you of the home and family you grew up with. Feels good to look back and be reacquainted with ones roots. Thanks Patrecia. Yes, No. 1 son had the most amazing time. He blended in so easily and was so happy and excited to meet his cousins and discover so many new things. It was hot and humid with several days of rains but he never complained except one time at the airport. We all had an unforgettable time. Sending you love, joy and peace my friend. God bless you and your family. Thanks for the invitation and tour. Happy summer to your family and you. Thanks Sally. Have a Happy Summer too! Thanks. Glad you enjoyed them. It was an inspiring Summer. I would have been very jealous if this is just now. I know, it’s paradise out there and wish we could live there and enjoy them all the time. No place beats the islands. Thanks Bebs. I actually was hoping to go back this Summer but my other half wants it next year on her 40th Birthday…but we do get to visit a place that feels like home too for us…California! Yipee! Wow! visited your blog and the images are just amazing! Thanks. It is. Hope one day, I get to go back for good to my version of “heaven on earth.” For now, I have to work harder, pray harder that it happens. The happiness shines through in your photos! Thanks Angeline. Yes, we were so happy. We had a great time going to places and being around family. Leaving and saying goodbye was so hard. Beautiful photos! I love the color of the water. Thanks Naomi. Yes, the water was amazing. 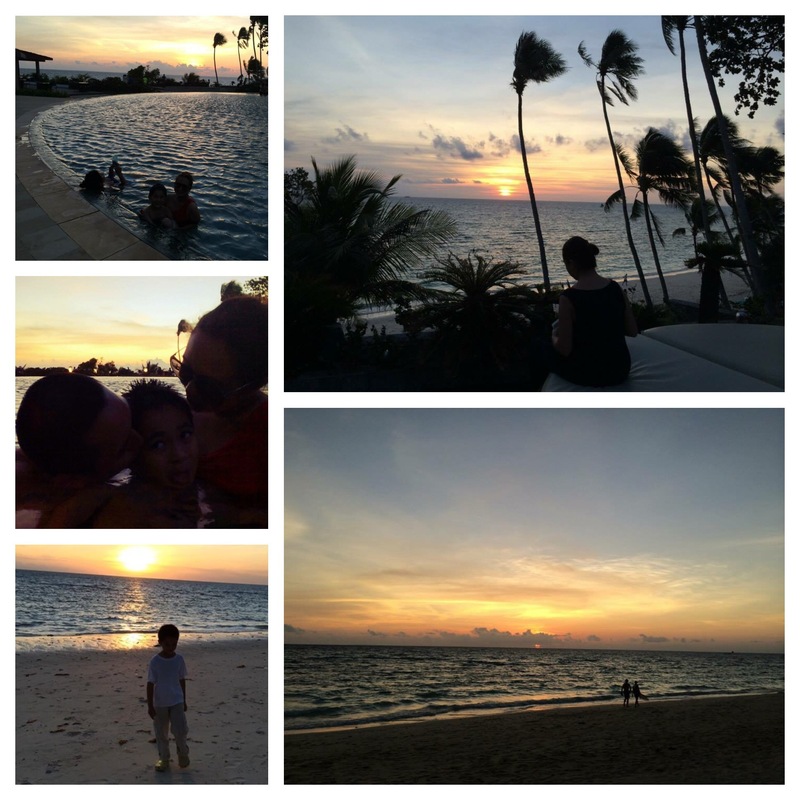 what a blessed summer you have with your family, wonderful, thank you for sharing your happiness. Thanks Cornelia. Very thankful always that I was blessed to have such a Summer. Each place that we went too was and is home and the people we shared our Summer, family…these I believe made that Summer of 2015 beautiful, special, timeless. Thanks. Brill’ collection of pictures and memories.. Thanks. Memories and pictures help us remember happy events like they just happened yesterday. My goodness, what gorgeous water! We are trying to make summer plans, and were thinking Philippines, until we read about the typhoons and weather…but it seems like you hardly had any rain at all. Any advice about weather in August? Would we still be able to enjoy Summer Paradise? Thanks Shelley. It was raining the first week we arrived but afterwards it was sunny. August is rainy season but there are a lot of great days with clear blue skies. It’s off season for tourists so for me, it’s better. Less crowded and hotels are cheaper too. 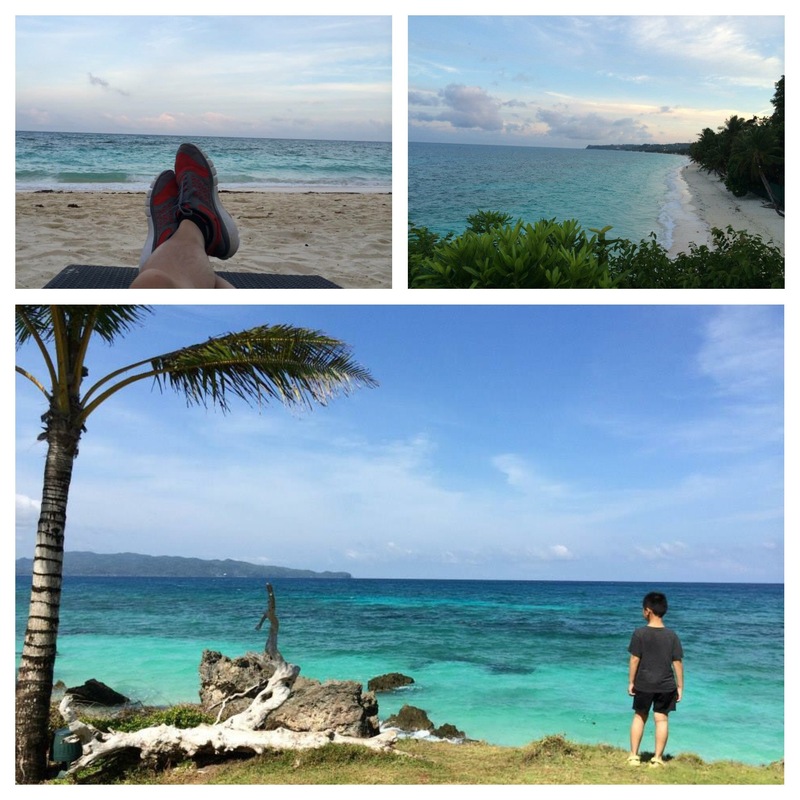 Hope you get to see the Philippines soon. Thank you. Summer then and now…always a wonderful place to visit and revisit. What wonderful and amazing images! Thanks so much for sharing and inviting us to enjoy a taste of your idyllic summer. Thank you. Summer is one perfect opportunity to create amazing memories, images, stories and yes, adventures with family and friends. Hmmm… why doesn’t my “Summer Paradise” look like that in the Midwest of the U.S.! 🙂 You have outdone yourself with the beautiful pictures and the memories that place you back in time as if it were happening now. The verse you chose, Isaiah 49:9 caught my attention. It seemed to mesh nicely with Zechariah 9:12, “Return to your fortress, O prisoners of hope; even now I announce that I will restore twice as much to you.” Your post made me think of “prisoner of hope” as that is what memories can do for us! Thanks Debbie. I read Isaiah 49:9 several days before I made the post and it stuck in my head and somehow it speaks of the new hope and rebirth that we usually feel and experience every time we’re on a vacation or some getaway. 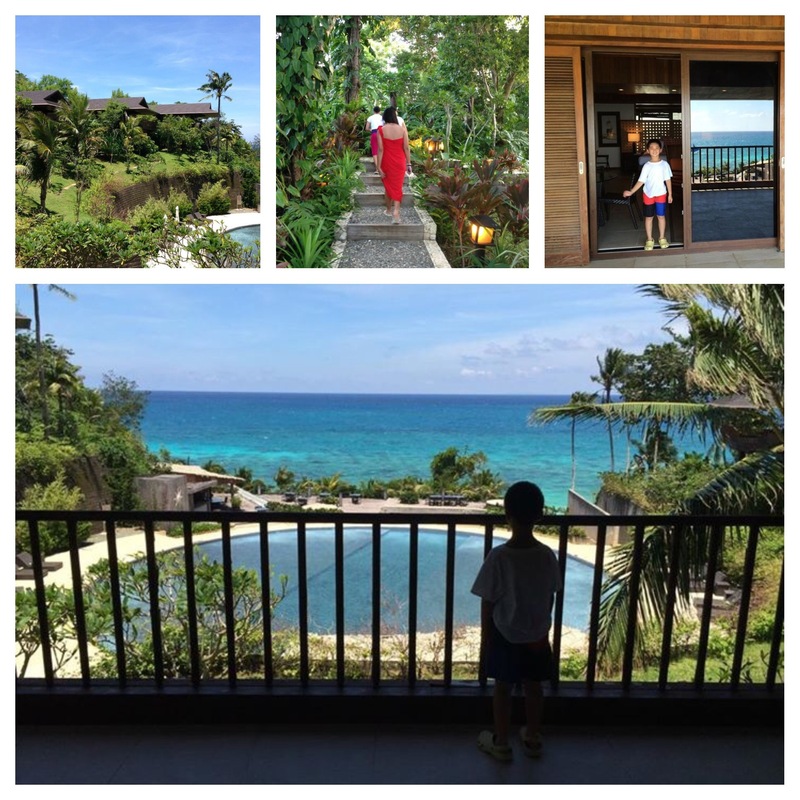 To me, vacation is God’s blessing for us to create something beautiful, meaningful, special with our family, even within ourselves…it’s a way to appreciate what we have…a time to heal and find again what makes us smile the moment we wake up each day. God bless my friend and have a great Summer. Viewing the ocean from the balcony, Boracay white sands, shooting the zephyr while listening to the lulling waves, zip-lining, doing the herbal warm spa, watching the sunset, kayaking, crossing the hanging bridge, swimming (pool), gaping at the waterfalls, eating estival foods…with loved ones! I am so envious now, bro. You have just elevated my definition of what summer lovin’ is. Doing any of those activities too keeps me in perfect fettle. Sadly, I am currently based in a place where littoral sights, sylvan surroundings, and palisades are but becoming part of a fleeting moment that is yearly vacation. Thanks Bro. Soon, Summer lovin’ will be knocking at your door too. I was hoping to go back to the Philippines this year but since I can’t, I’m reliving every bit of the amazing memories and events I had last Summer. No place like the Philippines. I won’t exchange it for any place on Earth…one day, hope fate will lead me back to it. Have a great Summer my friend and best of blessings to you and your family. Yes, Summer does that to me too and so with my wife and son. It’s where fun times begin and exciting new memories happen. Thanks. Thank you for sharing this award. Truly an honor and an inspiration. Congratulations as well. The water is stunning, so beautiful, in all it shades of blue and green! So different from our gray waters up here in New England. How wonderful you have a Paradise to return to. 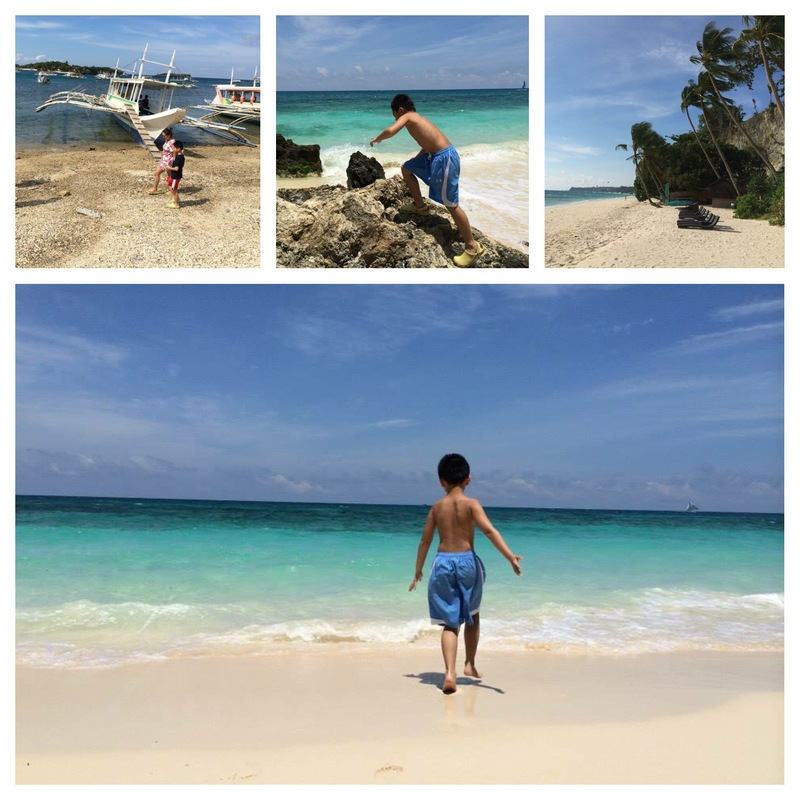 Those beautiful blues in the water and sky, that gorgeous sand … the photo of your son stepping toward the ocean is awesome. Your summer in paradise is a wonderful escape and an excellent welcome home. Thank you Island Traveler for sharing. I’ve saving this one just so I can return to this place in my dreams. Damn! I really need to go to Boracay. I’ve been wanting to go there since forever! When’s the best time to go, you reckon? Thanks. Best time for me is off season. Airfare and hotels cheaper and less crowd on top islands for vacation. Main draw back…rain which doesn’t really happen everyday. so, there’s still lot of sunny, awesome days to go sightseeing or just relax at the beach. Oh goodness gracious!! Thank you so much for the follow & in return making me a reader to one of the most colourful blogs I’ve ever seen. Thank you. Your comment made my day. You have a beautiful blog too with so much heart to give. Truly a blessing.